Unfortunately, whatever I write on TPCG, becomes a past. For instance, I write about a routine I'm following at a particular time, and within few days, I've completely stopped doing that. I hope the same doesn't happen this time around as well. I had recently noticed how I had gained weight; nobody had told me this, however. But, my cousin brother, Pratik, told me once that I had. With this super-busy schedule of mine, I could not find a perfect slot to exercise. But I felt too fatty, and I had to adjust somehow. Every morning, my alarm goes at 5:30, and I snooze it until 5:45. 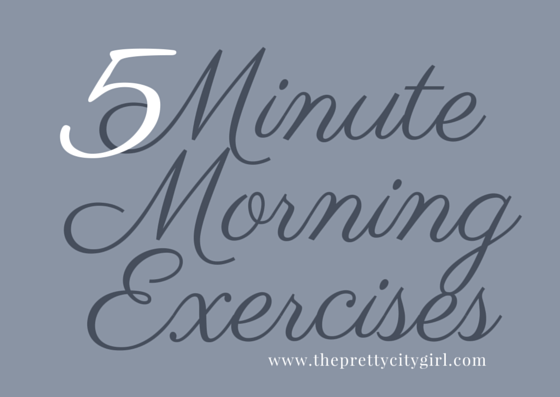 I brush, and it is usually 5:55 when I start my exercises. Before even drinking a glass of water, I exercise. After doing them, I stop at 6:00, or sometimes, at 6:02. This is my new workout routine. For the old one, visit this page. After I'm done, I drink a glass of water, and then go for preparing breakfast. To be fit, you just need to shed 5 minutes of your day. Once you follow this routine, you'll stay fit.